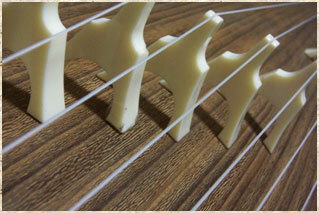 Let's play the Koto and Shamisen! 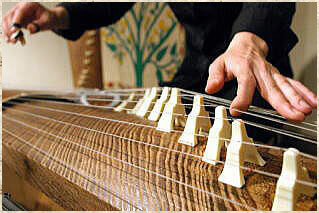 Is there the koto in one's house? 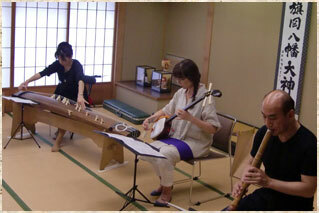 Or you are interested in the Koto or Shamisen Music. Why not try and feel the Japanese sound! You can play your favorite melody on the Koto. For beginners, children, foreigners, experienced players want to be more improved or want to have qualification to teach, I will teach you carefully. A trial lesson is available. The ensemble lesson is possible, too. Lessons for visiting one's home are also available, but travel fee is added to lesson fee. My lesson is a private lesson. We will talk and decide the lesson date and need a reservation in advance.